Writing your own Will is extremely important and we don’t want this to get in your way, so here are 13 definitions and explanations to help you understand and write your own Québec Last Will and Testament. Note: The first few definitions will help you to understand Québec Will vocabulary - further down the page we will explain and define the 3 different types of Last Will and Testaments in Québec. A person who is licensed to write and certify legal documents. The court authorization of a Will; the process of making one’s Will official after his or her death. A succession (known as an Estate in other provinces) is made up of all of the money, belongings, and property that you own. At your time of death, your succession and how it is distributed can be managed by your Will. Your belongings can range from your vehicles, to jewellery, to online accounts and more. Often one’s succession is much more valuable than they think, which is why it is so important to be able to decide how and when it is distributed. Should you die without a Will, you will have no say over how your succession is distributed: it will follow the rules of Québec Law. An amount of money, belongings, or property that is given to someone in a Will. In other words, legacies are the pieces of your succession that you distribute to those in your Will. A legatee (known as a Beneficiary in other provinces) is any person or charity who is named in your Will to receive money, belongings, or property. In other words, a legatee is anyone who receives a Legacy. A liquidator (known as an Executor in other provinces) is the person you appoint to carry out the terms specified in your Will. The liquidator handles the distribution of your possessions and property; in other words, liquidating your succession. The liquidator is named in your Will and can be a friend, family member, legal professional, or handled by a bank. A liquidator’s role can be complex and choosing the right one is an important task; we suggest that you learn more about choosing the right liquidator (executor). A tutor (known as a Guardian in other provinces) is a person named in your Will to take care of any children you may have below the age of 18. A tutor becomes important in the case that both parents pass away, or when the parent who would be left is not suitable to watch over the children (for example, he or she is in jail). If you happen to die without a Will or have not named a tutor, the decision for who will watch over your children will be left to the court system. A modification (known as a Codicil in other provinces) is a document you can write to make a change to your existing will. In cases where you would need or like to make a change to your Last Will and Testament, you can write a modification rather than creating an entirely new Will. 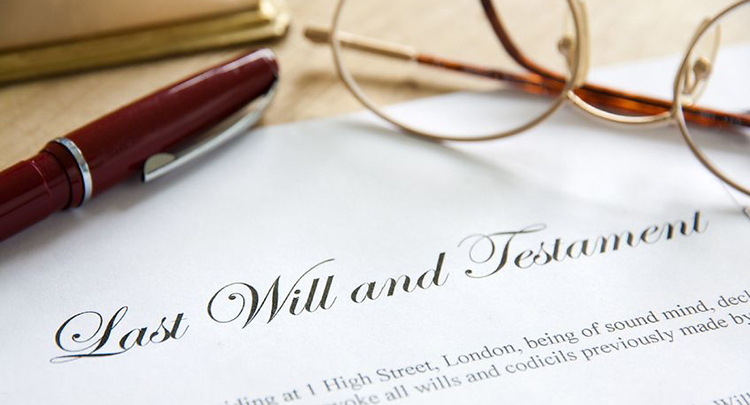 Reasons for doing so may arise when the people named in your Will pass away or you would like some removed, when you would like to add people to your Will (for example, a new child), when your financial situation changes, and so on. Definition: A signed legal document used to declare your final wishes: mainly how your assets will be distributed after your death. A Québec Last Will and Testament helps you to look after your friends, family, and even charities (if you choose), after your passing. The written document will allow you to decide how and among whom your succession (wealth, belongings, and property) is distributed. A Last Will and Testament is especially important for parents. Creating your Québec Last Will and Testament allows you to name a tutor to take care of your children if both parents pass away or one cannot properly take on the responsibility. A Will also allows you to set up trusts for your children, where you will be able to decide at what age they receive their inheritance, how much each receives, and if they will receive it all at once or through multiple distributions over time. Without a Will, your children will receive their full inheritance in equal shares at age 18 (which is often much too early to receive such a large amount of wealth). In Québec, there are 3 types of legal Wills: a Notarial Will, Holographic Will, and a Will Made in the Presence of others. Definition: A Will written by a Notary. A Notarial Will is created with a Notary (a person who is licensed to draft legal documents) and then signed in the presence of the Notary and a witness. A Notarial Will is the only type of Will in Québec that does not have to be probated (receive court authorization) after you die. However, you will pay a considerable amount more for Notarial Wills than you would with other options. Definition: A hand-written Will that is written and signed by you alone. A Holographic Will does not require witnesses or the use of a legal professional. It must be hand-written; you cannot type a Holographic Will. They are free to make, as you write your own Will completely by yourself. However, Holographic Wills must be probated (receive court authorization) after you die, which often leads to problems as easy mistakes can be made; the specific words used and their meanings may not be clear. In some cases the Will can be challenged or deemed invalid. Definition: A will that is signed before two witnesses, together and at the same time. A Will Made in the Presence of Others can be hand-written or typed. A physical copy must be signed in front of two witnesses (anyone aged 18 or older who is not included in your Will), and signed by the two witnesses as well. In this case, you can make your Québec Last Will and Testament with a Legal Will Kit, with a lawyer, or by yourself. Writing your Will by yourself can cause the problems with legal wording as discussed with Holographic Wills, and writing your Will with a lawyer will cost you hundreds of dollars (a lot more money than is necessary to spend). Ultimately, the best thing for you to do is to use a Québec Legal Will Kit. It will save you hundreds of dollars in notary/lawyer fees, is quick, easy to follow, and ensures the right terms are used which will help with the probate process. Note: If you or others you know live in a province outside of Québec, we recommend using Canadian Legal Wills to write a legally binding and affordable Will.